Hot-Shot - Fuschia Pink Rose Hot-Shot has dark pink petals with raspberry undertones. Beautiful opener with a long vase life Hot-Shot Roses are available in stem length 40-60 cm. 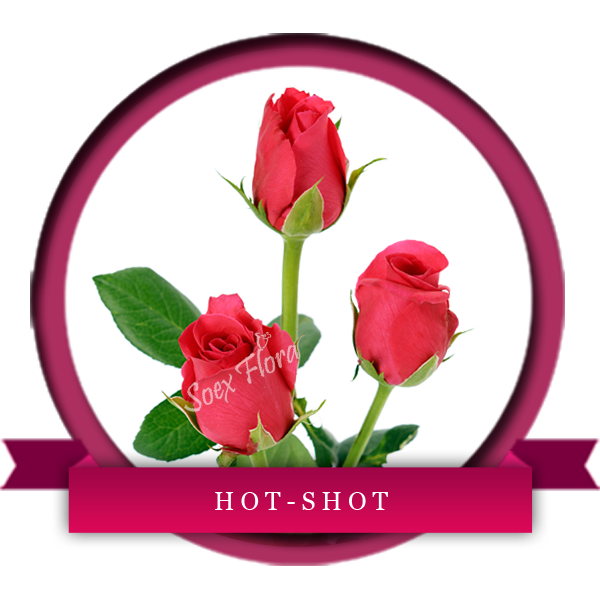 Order Hot-Shot from Soex Flora today!!! !